The Mindless Raven II is a fast and responsive board that is great for carving or cruising! Its symmetrical shape lets you ride switch with ease while the convex and concave profile will keep your feet locked in place as you throw down some serious slides on the new compound 83A Nimball wheels. 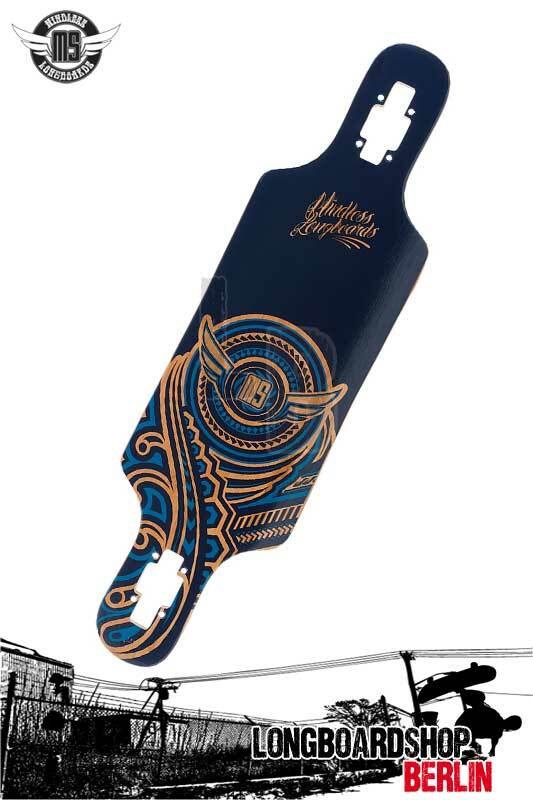 With a super sleek cut out design, you wont have to worry about your wheels biting when carving hard and the drop through trucks lower your centre of gravity for an even breezier ride. The Raven may be small but its definitely a mighty board! With a 34 deck, you have all the action and feel of a more traditional longboard, but with the manoeuvrability and fun of a short board. To add to that, its shortened length and lower stance, plus lightweight construction, makes for easy transportation during those times when youre not able to ride. Loaded with a new tribal style graphic, this board promises to perform like a dream while making heads turn!